Our Chickens & Eggs Basket is year-round. 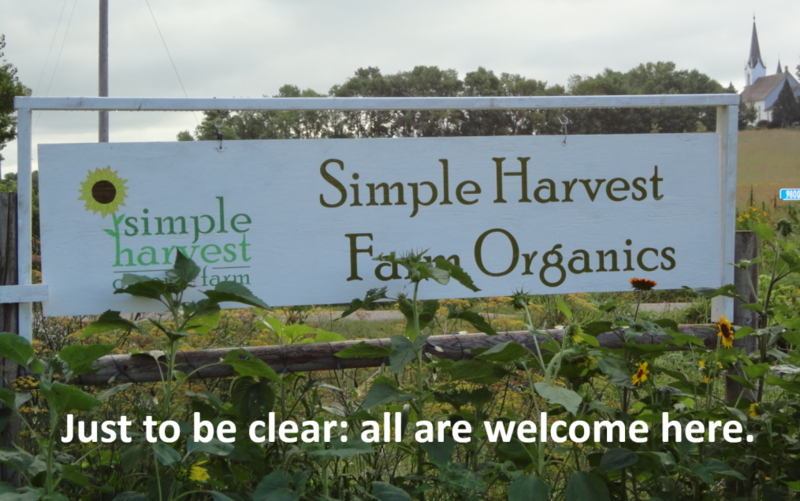 You’ll come to Simple Harvest on the Second Saturday of the Month to pick up your Chickens & Eggs Basket. While here, take time to wander around the farm and check out all the animals (ducks, geese, turkeys, hens, broilers, rabbits, calves, cow, goats, sheep & pigs) as well as the gardens. And you can always modify that; some people get more eggs, others more chickens. Sarah – just saw this! Yep, you can always arrive on any 2nd Saturday of the month for the Chickens & Eggs Basket.